Organisers of the Malaysia Grand Prix have made it clear that despite hopes F1 might return to the country, it wouldn't be welcome, even if it was given for free. "When we first hosted the F1 it was a big deal," tweeted sports minister Khairy Jamaluddin a year ago. "First in Asia outside Japan. Now so many venues. No first mover advantage. Not a novelty. "F1 ticket sales declining, TV viewership down," he added. "Foreign visitors down because can choose Singapore, China, Middle East. Returns are not as big. "For the record I still think we should host MotoGP...1) Cheaper fee and cost, 2) Sell-out crowd, 3) We have riders in Moto2 and 3." His sentiments were echoed by Razlan Razali, chief executive at the Sepang International Circuit, who said: "Maybe it will do Malaysia good to take a break," he said. "I think the product is no longer exciting, it's being dominated by one team." A year later, and as the sport prepares for the final Malaysia Grand Prix, an event that first entered the calendar in 1999, Razali's opinion has hardened. "Even if we got the greatest of deals, to do it for free for example, what's the product?" he told Reuters. "I myself am not able to sit in front of the television and watch from Lap 1 until whatever lap for two hours. It's hard to sell this kind of event and to get bums on the seat. It's not worth the investment at the moment." Indeed, while Lewis Hamilton inevitably talked of "the amazing crowd", claiming "this is the best crowd I've ever seen", the reality is a little different. "I'd call the grandstand opposite half empty," reported Mat Coch from the circuit during qualifying. "Basically nobody from Mercedes back towards the final corner on the bottom. "There are a few up the top, but there are lots of empty seats in there," he added. "Mercedes, Red Bull and Ferrari have reserved sections in front of their garages. Even they're not full." While the sport talks of Super Bowls and a possible global fan base of 556 million, Razali accuses the sport's owners of not doing enough, certainly in terms of the product - the actual racing - on offer. "Fans engagement, yes. What they have done off-track, it's great," he admitted, "but what triggers for someone to buy tickets to come to the circuit? It's the product, the sport, not because of the activation they have done. "What changes have you seen that makes it any more exciting than in the Bernie days, in terms of the sport, in terms of racing, what have they done?" While 46,944 spectators attended last year's race, slightly up on 2015, this compares to 88,450 in 2013. 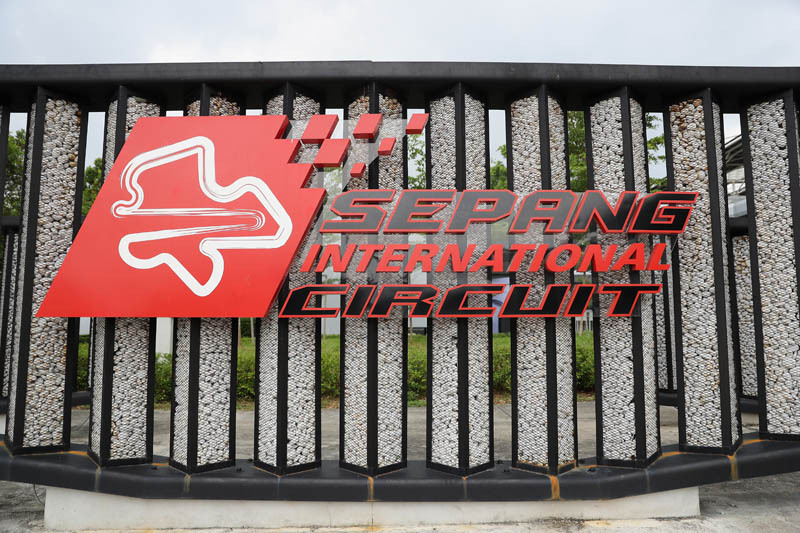 While ticket sales for this year's event have already reached 60,000, according to organisers, they are hoping to hit 80,000, though the Sepang track can accommodate 120,000. "This year’s ticket sales is very positive compared with other years," said Razali. "With the price of tickets reduced to as low as RM47.58 (£8.50), we hope to achieve the targeted sales." 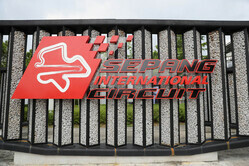 Check out our Saturday gallery from Sepang, here. "Lewis Hamilton says that same dribble everywhere he goes. It's all he knows to say; win or lose. The place looks like it's falling apart...have they spent any money there for upkeep? Ask Haas. I'm looking forward to some "new" venues...why not Watkins Glen? It's freshly repaved and ready! HINT "
"A good and realistic insight into hosting F1 these days. I must admit that I enjoy the MotoGP racing more than F1 at the moment so can understand sentiments and questioning what the F1 product is. From a TV viewer's perspective, loosing the Malaysia GP is a bit of a shame as it had become a bit of a staple race. I won't use the word tradition as I'm not sure that is appropriate. Thanks too for Matt Coch's input and good to know he is out and about. Will we hear another Pitpass Podcast soon?"